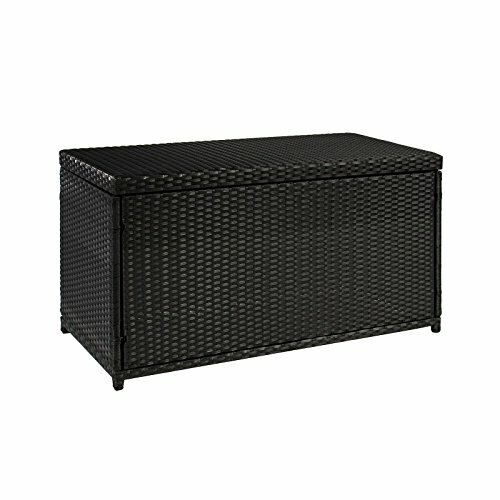 This sun-resistant storage box provides plenty of space to store any garden accessories, pool toys, and furniture cushions. It serves as a multipurpose storage trunk and adds style to any backyard. This storage box is great for keeping your backyard clean and organized. PLEASE NOTE: Our digital images are as accurate as possible. However, different monitors may cause colors to vary slightly. Some of our items are handcrafted and/or hand finished. Color can vary and slight imperfections in the metal work are normal and considered evidence of the hand-finishing process, which adds character and authenticity to those items. If you have any questions about this product by AUEY, contact us by completing and submitting the form below. If you are looking for a specif part number, please include it with your message.